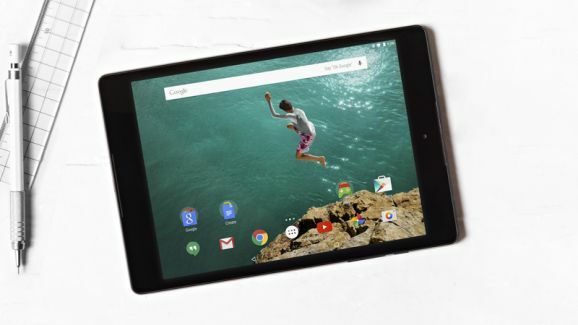 The HTC built Nexus 9 has now arrived on the Google Play store and Amazon here in the UK with prices starting from £319 for the 16GB Wi-Fi only version. Other variations include the 32GB pushing the price to £399 and adding LTE connectivity continues to increase the price to £459. This is more in keeping with Google’s Nexus 10 pricing over the last few years. Many are furious at the iPad-esq pricing and it’s easy to see why. Google have made much headway with their cheaply priced Nexus 7 over the last three years and most had hoped for the Nexus 9 to mirror this. It features a 8.9-inch display, supported by a 2.3 GHz 64-bit Nvidia Tegra K1 processor and a 6700mAh battery, high specs for a high price. Oh yeah, it’s made by HTC, who make expensive devices. Pre-orders for the Wi-Fi only version opened on October 17 – Google is promising that units will leave the warehouse in 2-3 weeks. If you order, expect it on November 3rd. If it doesn’t arrive, just wait longer.